The avergae wedding has 136 guests, down 13 people from 5 years ago. When it comes to guaranteeing your special day in Philadelphia, PA is worry free, booking safe, reliable wedding transportation is key. Whether you just want a sedan to pick up you and your new hubby at the end of the night, or an entire fleet of limos, party buses and shuttles for your guests, there are a lot of things to consider when planning a Wedding in Philadelphia, PA.
You will have a million things to focus on prior to and when the big day arrives. Transportation shouldn’t have to be one of them. So when building out your list of things to accomplish, check off these Wedding Transportation Tips for your Wedding in Philadelphia, PA to make your wedding preparation go much smoother. These are sure to make your life go smoother whether you are booking Stretch Limousines or Mini Buses for your wedding guests. Want to talk to somebody who can help? Call 610-222-6225 and speak to a Wedding Coordinator who can walk you through all of the options and costs associated with Wedding Transportation. 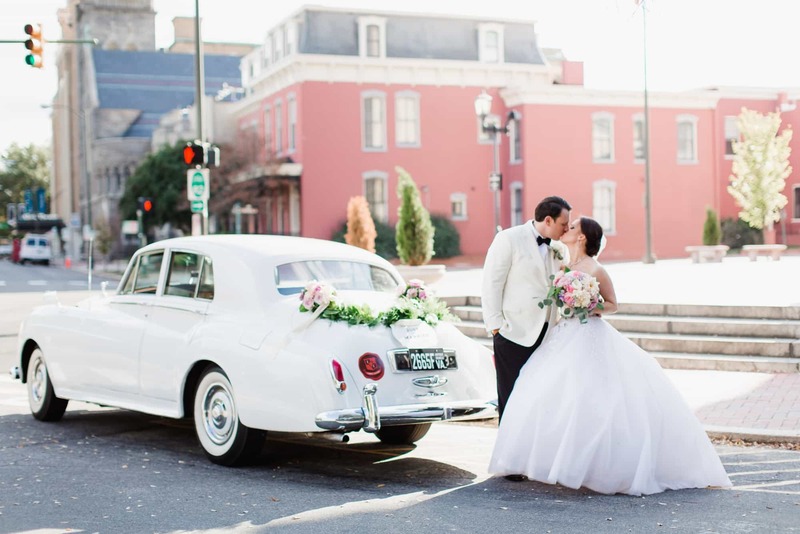 Everybody likes a list and here are the Top 10 wedding transportation tips cultivated from brides and grooms across the Greater Philadelphia area. Do some digging on the company(s) you are pursuing before you even pick up the phone or send an email. Make sure to check out reviews on Google, Wedding Wire, The Knot, Facebook, and Yelp. Don’t waste your time with a company with bad or negative reviews. If they are not experienced in Philadelphia, PA or your specific venue, you may be in for a rough time. When talking with a transportation company about your wedding day in Philadelphia, PA, they will be asking a bunch of questions. Have the following prepared: Time frame, locations of the pick-up, church, pictures, reception etc. How many passengers will be in each vehicle? What is the distance between the hotel and your venue? Having the answers to all these questions will make the quoting process super simple and more accurate, especially with all of the different Wedding options in Philadelphia, PA. When the company gives you a price quote for services in Philadelphia, PA, be sure to ask what is included in the price they gave you. Some items to ask about would be: Parking, tolls, gratuity for the driver, a fuel surcharge and any other fees. A good transportation company will give you an “all-in” number that includes everything with no hidden fees. Ensuring that the company you go with will have a vehicle available for you on your date is very important, especially if you are getting married on a “big wedding weekend”. If you find a company that you trust, don’t hesitate. Book it early to leave plenty of time for adjustments. When making your reservation for your Wedding Day in Philadelphia, PA, send your transportation company a written copy of your itinerary. This way there is no confusion or mistakes between the two parties. If your plans or itinerary change at any point, make sure to notify your transportation company ASAP to avoid any mishaps the day of. If you have exactly 18 people in your wedding party, don’t go with the 18 passenger party bus. Pay the extra money and go for the 26 or 28 passenger party bus to have enough room. You and your party won’t want to be smooshed in all together as you head yo our Wedding in Philadelphia, PA. Ask to see the vehicles in person. You’ll want to make sure the vehicle you see on the website is the exact vehicle you will be getting on your special day. If the company “doesn’t do that” or they “can’t make time”, Beware! There may be a middle man between you and the company that owns the vehicle. Do you have a lot of guests coming in from out of town? Is there limited parking for your guests at the venue? Booking shuttle service between your hotel and venue in Philadelphia, PA is a nice touch for your guests. It also provides safety for everyone in your party by preventing people from drinking and driving after the reception. Consider putting someone in charge of designating the times and locations for your guest’s shuttle. Choosing someone that is not in the wedding party so they are always available is a great idea. This way the chauffeur knows exactly where and when they should be making pick-ups. 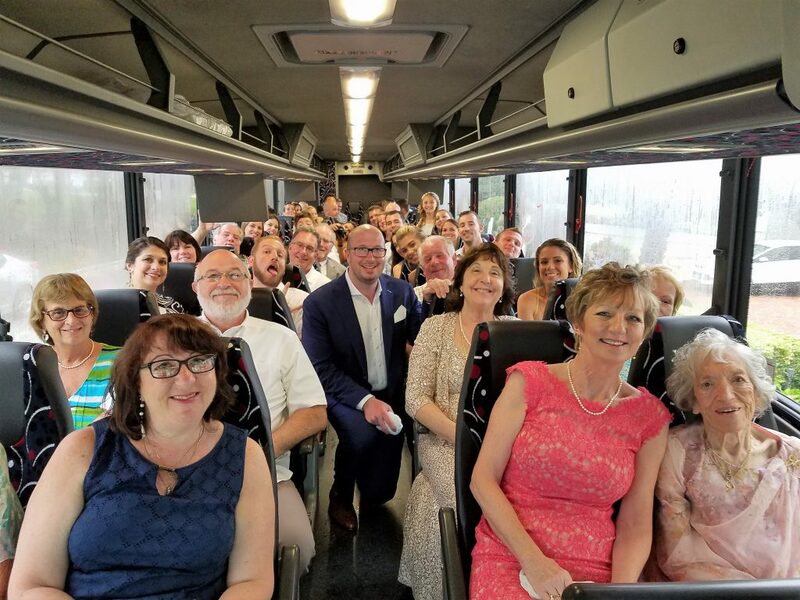 We suggest staring your shuttle service 45 minutes to 1 hour before your reception is scheduled to end in Philadelphia, PA. You don’t want Grandma and Uncle Harold falling asleep at the table while you and your friends dance the night away. Like most Wedding Venues in Philadelphia, PA area, your Venue likely will leverage with an amazing local hotel partner to make sure your guests have a safe and comfortable place to stay. Kevin Smith Transportation Group then becomes the perfect partner to shuttle those same Wedding guests back and forth. Wedding Shuttle services typically work this way in Philadelphia, PA. Once you secure your room block, KSTG will identify the specific shuttle needs you will need. This could be one of our Wedding Sprinters that hold up to 14 people to leveraging our Wedding Shuttles that can transport 30 Wedding guests at a time or more. Most Wedding clients in Philadelphia, Pa will request KSTG to run those shuttle services for 2 hours both before and after the reception. This provides a convenient and safe way to transport your Wedding guests so that they can easily move between your Wedding reception in Philadelphia, PA and your selected hotel partner. As most hotels won’t run shuttle services for Weddings, KSTG becomes the perfect complement to your day’s festivities.